I was commissioned to create a short animation for primary school children in the Netherlands about the medieval history of a part of my hometown. 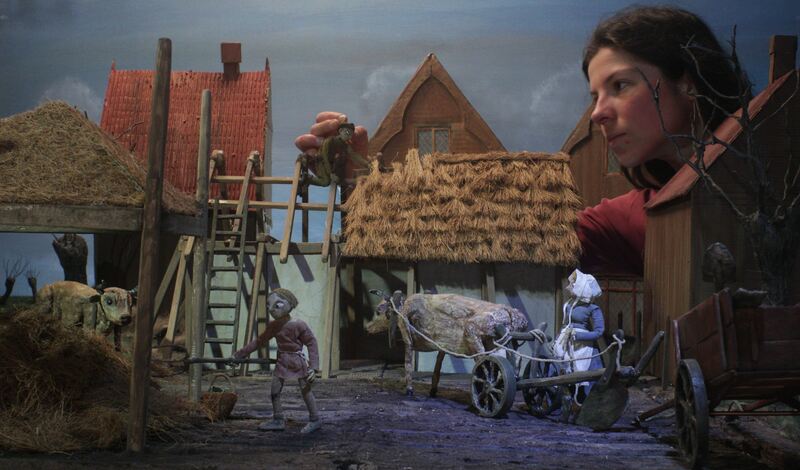 The animation was part of an interactive historic walk for the project ‘Verborgen Verleden’ (hidden history). 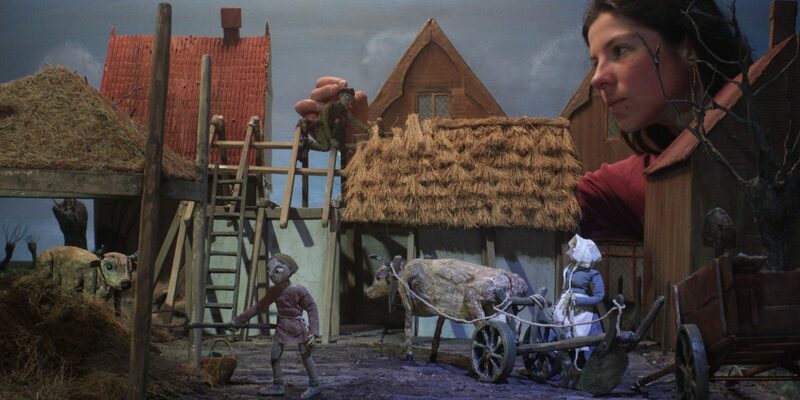 The video features a Dutch peasant family in the 12th century. We follow father, mother, son and their two cows whilst they are given a marshy piece of land. 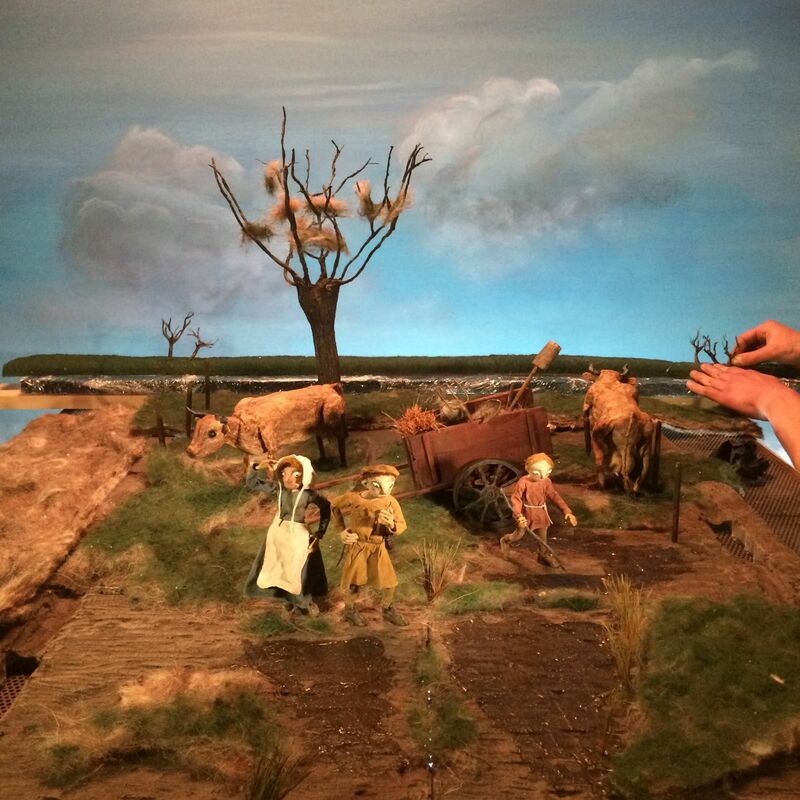 The short animation shows the hard life of the medieval farmers as they dig channels to drain the water from the land, plough the soil, build their farm house and sow the crops. A village emerges and the fields are full of healthy crops. But will they keep their feet dry, or should they move to higher grounds…? More info on the puppet fabrication can be found on here. More info on the set and prop building coming soon. 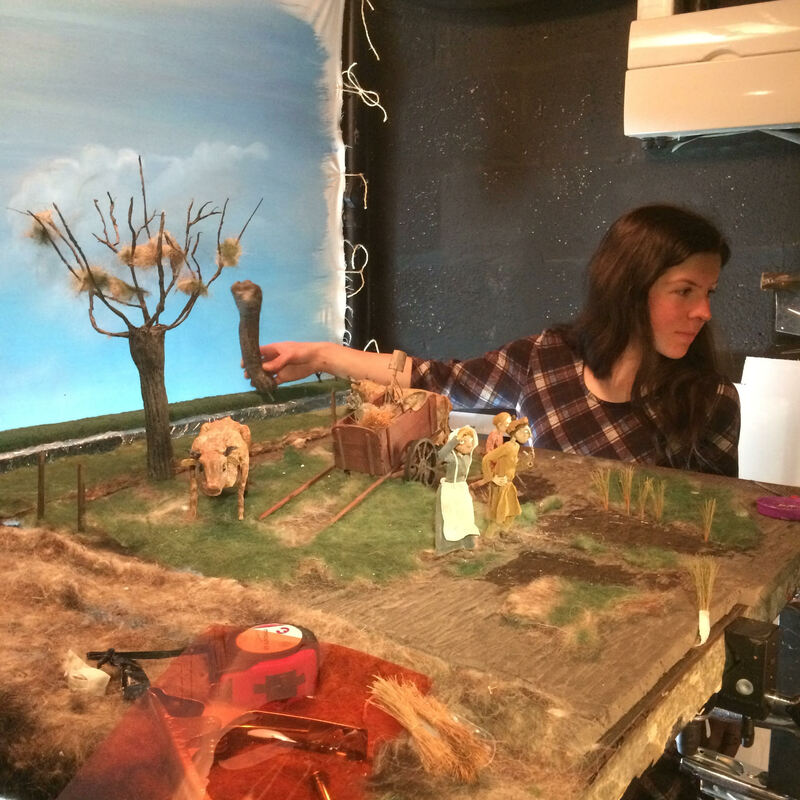 Me animating on the set of the family's new farm in Lanxmeer. 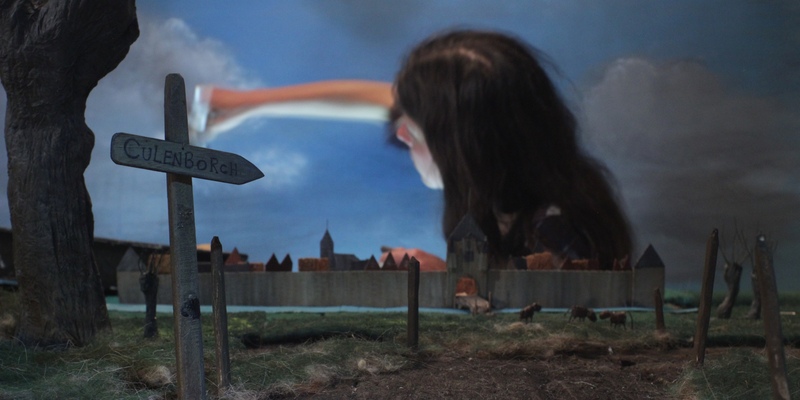 Re-painting the sky for the final wide shot of the city of Culenborch. 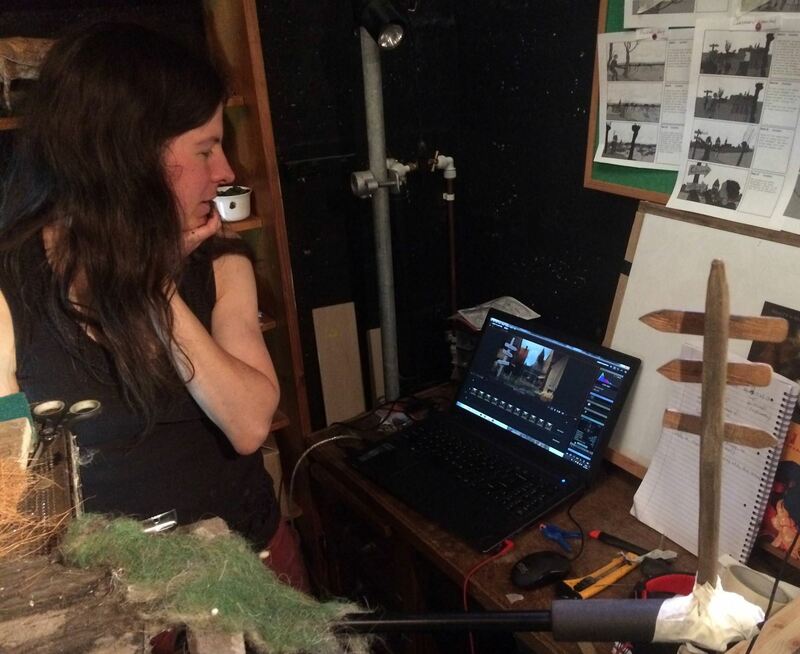 Adding finishing touches to the set dressing of the opening shot. Trying out different options for the set dressing of the opening shot. Checking the shot of the village of Lanxmeer in Dragonframe. Forced perspective shot of the village of Paveien being built. 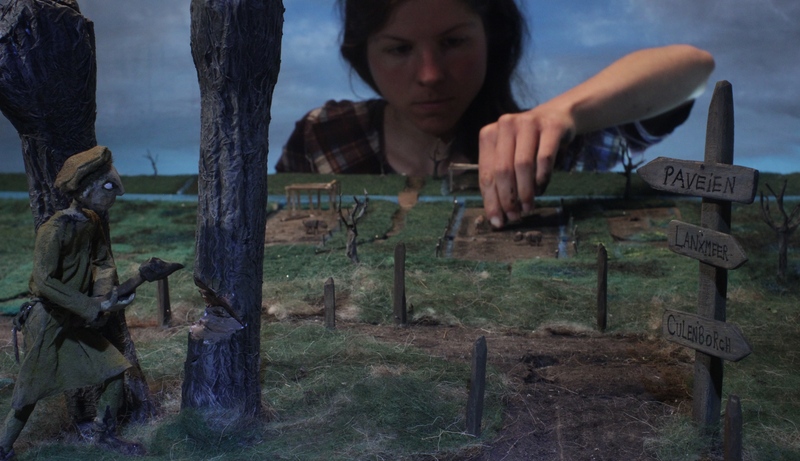 Animating tiny cows at the final wide shot of the city of Culenborch.